The Battle of Sekigahara,Japan’s greatest civil war, ended in a victory for the army of the East, commanded by Tokugawa Ieyasu, on Sep. 25th, 1600. Toyotomi Hideyoshi, the defacto ruler in Japan of the day, passed away in 1598, which triggered the confrontation between Tokugawa Ieyasu, who was one of the most powerful ‘daimyos’ feudal lords, and Ishida Mitsunari, the leading able bureaucrat serving the Toyotomi family. The Battle of Sekigahara is very well known among Japanese people as the most decisive battle in history. 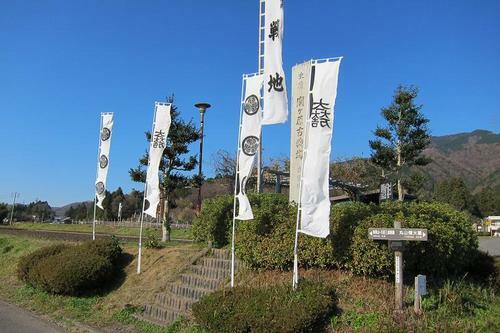 The battle was fought between the army of the East commanded by Tokugawa Ieyasu and that of the West under Ishida Mitsunari’s command,in Sekigahara, Gifu Prefecture. A total of 160,000 solders on both sides crashed into the fierce battle, which lasted for six hours. Finally, luck smiled upon Tokugawa side, in that considerable numbers of daimyos on Ishida side went over to Tokugawa side and the soldiers on Ishida side had less fighting spirit. 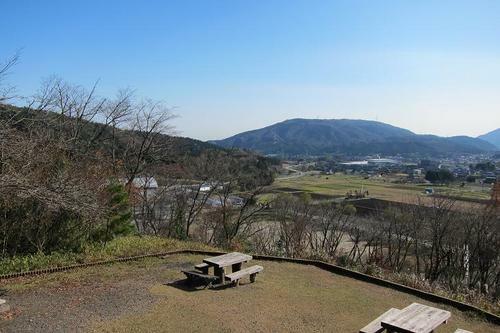 Tha first picture shows the old headquarters of Ishida Mitsunari, while the full view of old Sekigahara battlefield, seen from the place where Ishida seated himself to direct the battle, is shown in the second picture. After that, Tokugawa Ieyasu established his shogunate in Edo, present Tokyo, in 1603, that continued until 1867.